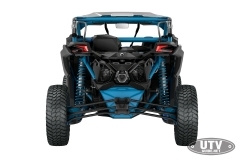 A new industry standard, electronically controlled front lockable differential system with Smart-Lok technology ensures maximum traction and enhanced slow-speed maneuverability especially in challenging terrain. The Smart-Lok system, developed in conjunction with TEAM Industries, takes integrated intelligence to new heights and allows on-the-fly adjustments. The differential can lock and unlock on the fly no matter the speed, letting the driver focus on the trail. Smart-Lok offers intelligent modes for different riding conditions. 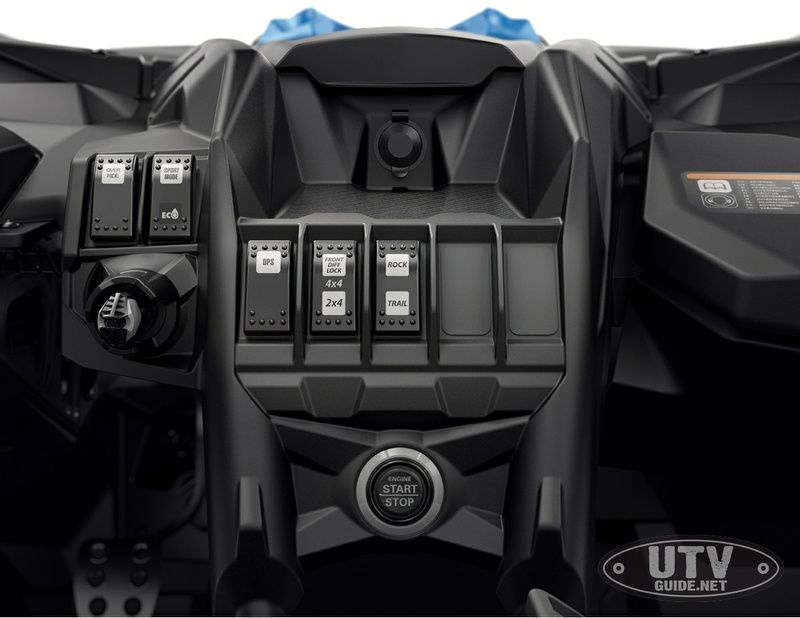 The brain controlling this industry leading technology is the Front Differential Module, gathering input from six key vehicle parameters. 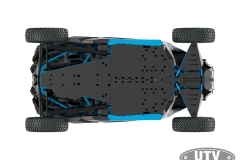 It analyzes front wheel speed from both sides, steering angle, accelerator pedal, gear position, engine torque and vehicle speed. Depending on the readings and the Smart-Lok system’s setting, the actuator will instantaneously initiate the locking of the front differential. The result is simple steering output (same as being fully open), allowing the driver to accurately conquer varying obstacles while maintaining momentum. 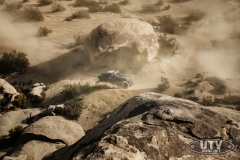 The driver has the option to select between four modes: 2×4 / 4×4 fully locked / 4×4 ROCK and 4×4 TRAIL. 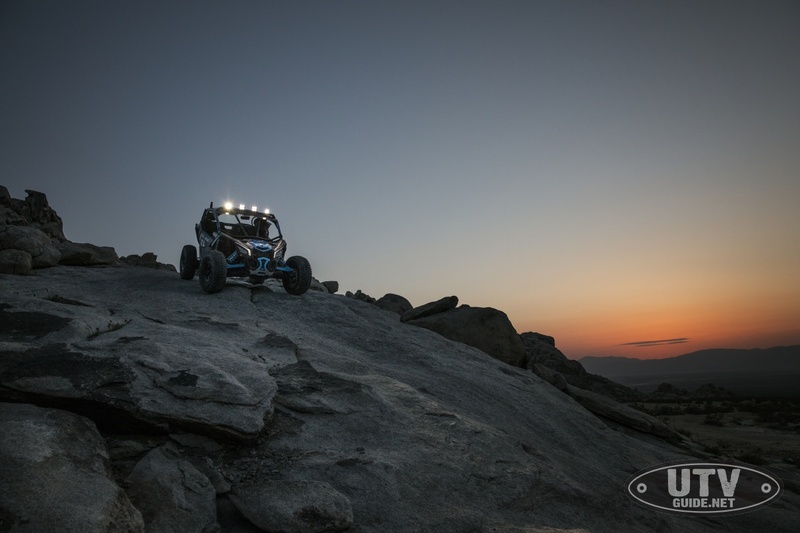 The preset ROCK and TRAIL settings are designed to enhance the off-road experience by offering a more customized feel to match to specific terrain, conditions and demands. 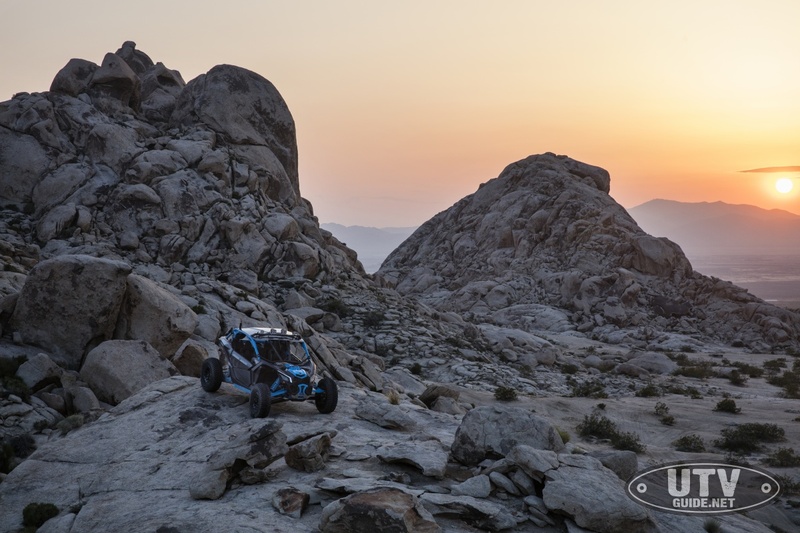 Our engineering team further enriched the system by including hill descent control, which includes an Electronic Braking System (EBS) at all four wheels, for improved control and traction. The biggest, baddest obstacles are finally within reach. 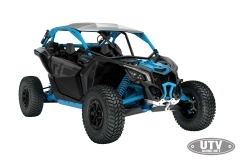 The Maverick X3 X rc Turbo is an uprated side-by-side vehicle with the performance and control to conquer rough, rocky terrain and leave rivals at the bottom of the heap. 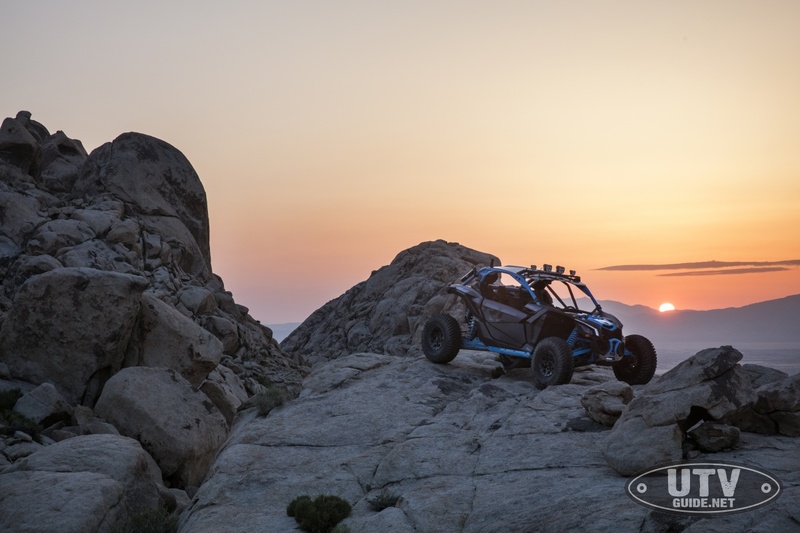 The new Maverick X3 X rc Turbo R and Maverick X3 X rc Turbo vehicles are each purpose-built from the factory to excel in challenging terrain. 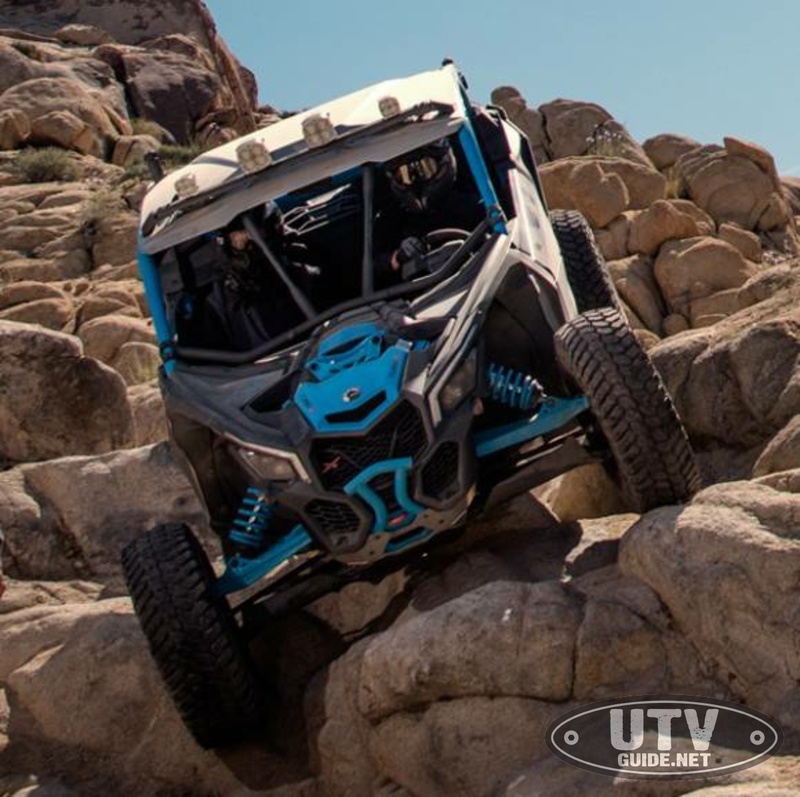 A new industry-exclusive front differential system with Smart-Lok technology offers unrivaled surefootedness when the going gets super tough. 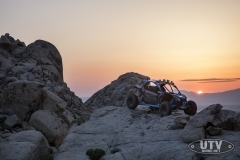 With the popularity of ownership customization and recreational and competitive rock crawling on the rise, Can-Am — the official side-by-side vehicle of the ULTRA4 King of the Hammers rock-crawling race — built two different X3 rc packages to appease these rock hounds’ passion and budgets. 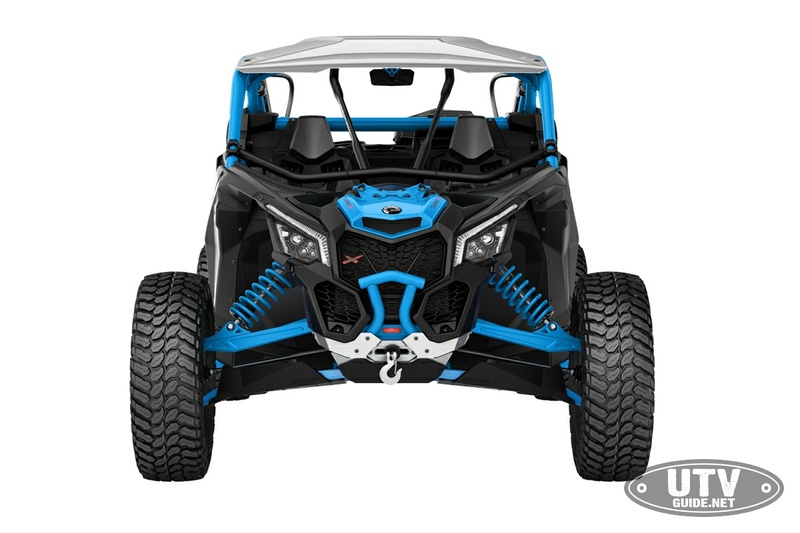 The new 172 hp Maverick X3 X rc Turbo R and 120 hp X3 X rc Turbo (no intercooler) packages are all about meeting rock-crawling enthusiast’s strict standards. 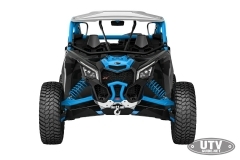 Can-Am engineers meticulously designed the X rc models to supply the utmost of maneuverability in rugged terrain, integrating items for occupant safety, convenience, huge traction, and high clearance. At a commanding 64-inches of width, the X3 X rc Turbo puts stability at the centre of everything it does. 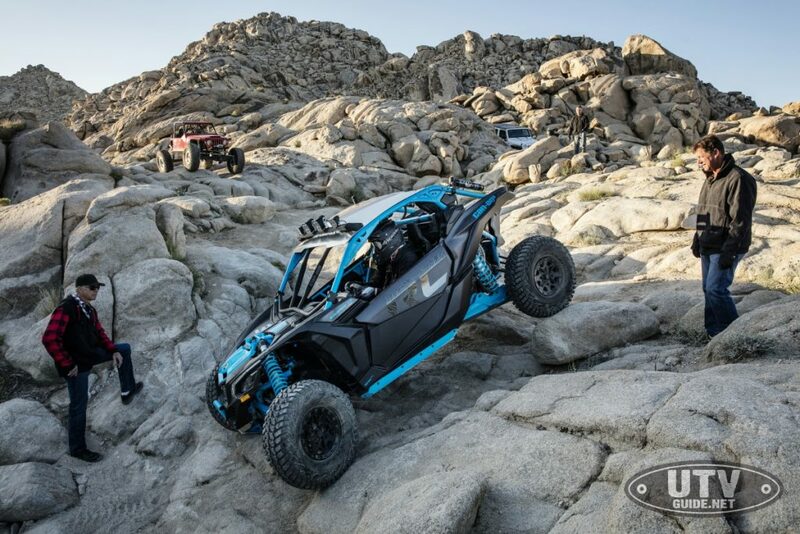 With race-winning geometry and advanced suspension, wheels, and tires working in concert, the only obstacle you’ll really face is the one staring back in the rearview mirror. The Maverick X3 X rc side-by-side vehicles skillfully blend their industry-leading power, precision handling and unmatched comfort levels with a groundbreaking factory-installed, rock-discipline package to bring the brand’s dynamic riding experience to new territory. Defiant, precise and powerful for when the going gets extremely rocky! Responsive, refined performance is more accessible than ever with the 120 horsepower Maverick X3 X rc Turbo. 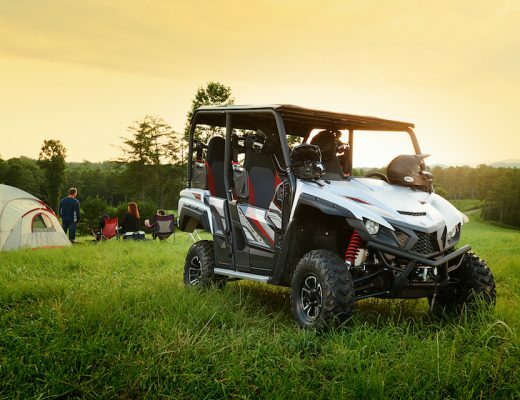 With a turbocharged Rotax engine tuned for torque and seamless, shift-less power, it’s able to rip, rock, and crawl at the command of your right foot. 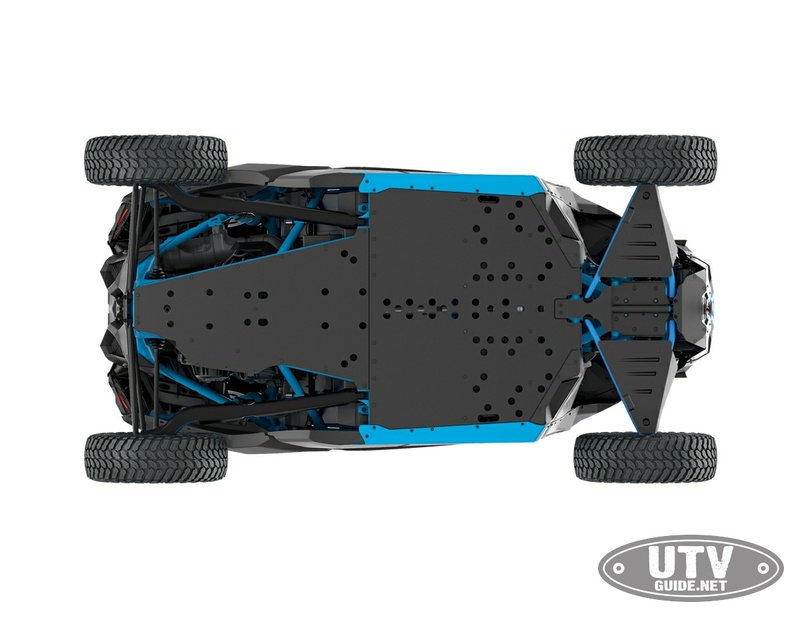 With a full compliment of Heavy-Duty protection gear, from HMW skid plate to UHMW rock sliders, to differential HMW protection and HMW suspension armour, the X rc Turbo has overbuilt HMW parts where you need them most. 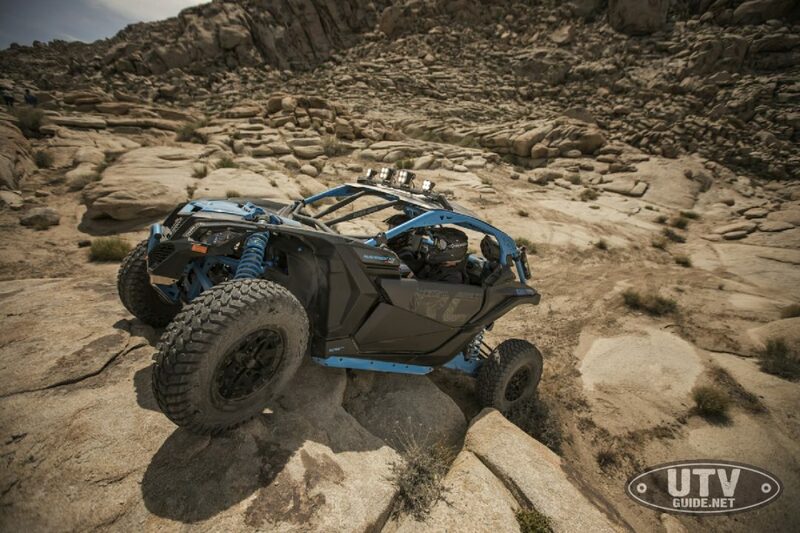 For next-level traction to conquer the roughest terrain, Can-Am-exclusive Smart-Lok™* technology is the new benchmark. A true full lockable on-the-fly front differential with electronically-controlled automatic modes, or with the simple press of a button that offers preset, intelligent calibrations for your type of riding. Using multiple input sources, “Smart mode” will instantaneously engage locking with the right load at the right moment. 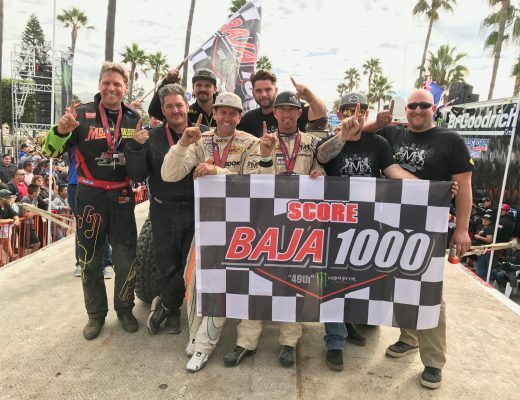 Never before have riders been given maximum traction while retaining low-speed maneuverability, allowing optimal placement and a feeling of confidence that allows for the Maverick X3 X rc Turbo to be unleashed sooner than ever.